Today I thought I would write about something that I have been using for as long as I can remember. 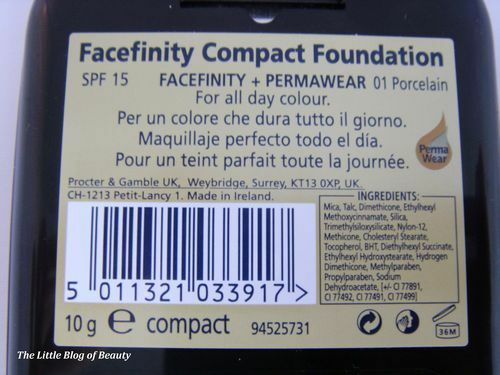 Occasionally I have had a brief affair with a liquid or other type of foundation but eventually I always end up returning to my faithful Facefinity Compact Foundation. 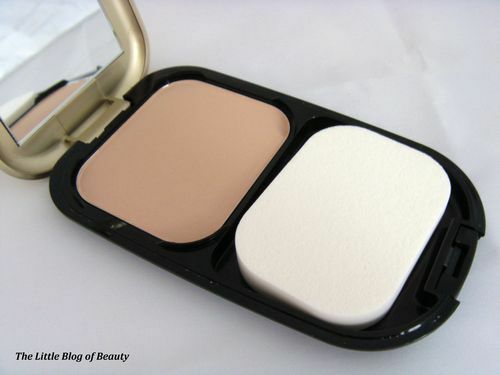 There are several reasons why I use this compact foundation. One of the main reasons is the coverage it provides which I believe is medium to high. I wish I had perfect skin but unfortunately I don’t by a long way. What with dark circles, redness and scaring I need something that will give me good coverage to try and help hide all these annoying little problems. Another reason is that this is so quick and simple to apply using the little application pad that is provided. If I’m getting up at 4 or 5 am to travel to London for filming and haven’t got time to apply full makeup but don’t want to turn up with none on looking like I’ve got up at 4 or 5 am, I can apply this in a few seconds to at least make me look presentable. As this is powder based this also does not require a separate application of powder over the top, although it’s fine to use powder later in the day if some shine starts to break through. 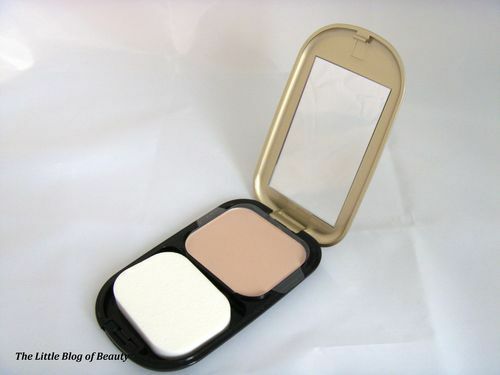 It’s also a good size, being slim and compact, to keep in your bag for touch-up’s if required. There are only a few of shades of this available but porcelain is light enough to be a good match for my snow white skin. I expect in the future (especially now that I have taken up blogging) I will indulge in brief liaison’s with other types of foundation but I think I will always return to Facefinity. 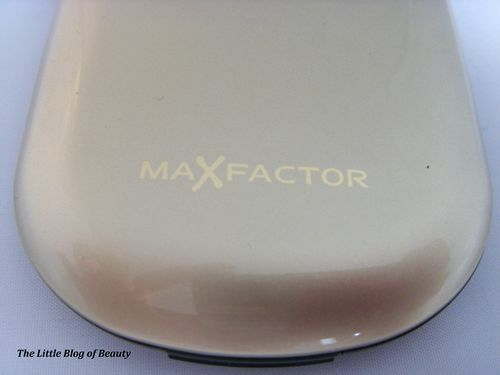 Max Factor Facefinity Compact Foundation is priced £10.99 and is available from Boots, Superdrug and many other chemists, supermarkets and department stores.